In this article Dr. Kim Frederick talks about why and how to collaborate. Especially when conducting research at a primarily undergraduate institution, collaboration can provide your lab and students with critical expertise to move a project forward. By engaging in a research project that involves undergraduates, faculty are already involved in a collaborative research enterprise. The subject of this article is whether or not to embark on a project that involves a collaboration between multiple scholars or principal investigators (PIs) and perhaps multiple teams of students. While the single investigator model is the norm in some disciplines, many departments and institutions are recognizing the value of research collaborations for creating a larger research community for both the PIs and the students. A collaborative research approach can have some significant advantages over the single principle investigator model. As graduate students, most faculty developed expertise in a particular field or methodology. Once established in tenured or tenure-track positions, faculty may find that the problems that they studied early in their careers have been well developed or have not produced the results they had hoped for, the resources necessary to investigate that area may no longer be available, or a whole host of other reasons that may make it necessary to modify their primary research area. Pursuing a collaborative project can help PI’s identify new research areas to which they can bring their expertise. Collaborative research efforts are becoming much more common in science fields as cutting edge problems are becoming increasingly interdisciplinary. Collaborating can also help individuals to gain access to facilities or data sets which are not available at their home institution. By working with a number of principal investigators, each individual becomes part of a larger team and has regular contact with other PIs on the project. This helps to relieve some of the isolation that many faculty at small colleges feel as the only expert in their particular research area. As the saying goes, “two heads are better than one” and working collaboratively means that there are other people who can actively brainstorm and troubleshoot multiple aspects of a project. Each PI is no longer the sole source of all the answers to every problem. What a relief! Additional PI’s can also help to manage the undergraduate students cooperatively. During a week where one PI is traveling or swamped in office hours, the other PI may have more time to help interpret data or facilitate administrative tasks. With more PI’s involved, a single PI might not have to do the bulk of the writing on every publication, grant proposal or institutional review board (IRB) application. Ideally, research collaborations will result in a net increase in research productivity or higher impact publications. Finally, when research collaborations work out, they can make the entire research enterprise more fun! Once a faculty member decides to pursue a collaborative research model, it is necessary to identify a good collaborator. Not to be overly dramatic, but establishing a good research collaboration is like entering into a good relationship, there are good qualities and bad qualities to look for in a potential partner. The primary feature of a good collaborator is someone who is looking for a good intellectual partner, someone who values your expertise and can bring their own set of skills to address a common problem. While working with a colleague who hasn’t done any of their own scholarship in a decade will probably be good for your karma, it may end up just being more work. A good collaborator is someone who has an understanding of the constraints of a faculty member with significant teaching responsibilities and undergraduate research students. Timeliness in the business world can be very different than the pace of undergraduate research during the school year. It is important to be clear up front about what can be accomplished before you decide whether to begin a collaborative project or not. If you can find a collaborator who will get professional advantage from the collaboration in addition to all of the good research, then all the better. One example of this is faculty funded through the National Science Foundation who can mention the research collaboration to address the “Broader Impacts” review criterion. Finally the ideal collaborator is someone who is a good person, and this is the most difficult quality to assess ahead of time. The ideal collaborator will work with you productively and respectfully and will value and let you take appropriate credit for your contributions. They can be a true ally and friend in your research community. Once you know what you are looking for, you need to get out there and approach people. A potential collaborator might be in the office next door, down the street or half way around the world. Kam Dahlquist, a biologist a Loyola Marymount University and his students, work with a team of computer scientists at their institution to do mathematical modeling of gene regulatory networks. Using her expertise in poultry pathogens, Louise Temple-Rosebrook at James Madison University partnered with a local turkey cooperative on development of inexpensive bacterial speciation techniques and surveyed a turkey farm for presence of a common pathogen. At Colgate University, Roger Rowlett obtained funding for an x-ray crystallography facility from the NSF-MRI program. He has collaborated with numerous other faculty from undergraduate institutions to help them solve crystal structures of their materials, including proteins and inorganic molecules. Finally, John Goodwin, Coastal Carolina University, established a research collaboration in porphyrin chemistry with Armenian scientist Tigran Kurtikyan that was funded by the US Civilian Research and Development Foundation for the Independent States of the Former Soviet Union (CRDFbefore Goodwin obtained NSF funding for his students to travel to Yerevn for summer research. Each of these examples highlights different places to look for collaborations and each of these collaborations has resulted in publications and/or external funding. 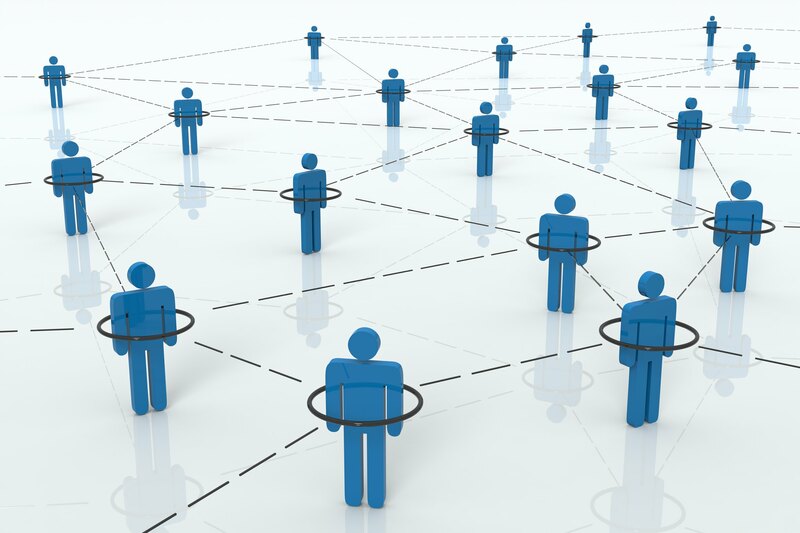 The key to finding collaborators is networking, networking, networking. A few places to start include talking to people at professional meetings, talking to your colleagues about who they know, going to visit your community outreach or service learning coordinator on campus or even searching your professional literature. Be aware of targeted funding opportunities that might be available to facilitate collaborations. One example includes NSF-Research Opportunity Awards (ROA). Any PI currently funded by NSF can apply for a ROA award to fund a collaboration with a primarily undergraduate institution.